Features wines grown largely in the warm-climate of southern Monterey County, using emerging appellations such as the San Antonio Valley and San Lucas AVAs. Most vineyards are located in a high mountain valley within the southern portion of the Santa Lucia mountain range adjacent to the west side of Paso Robles. Warm days followed by cool night enabled the fruit to achieve extended hang time maximizing their true varietal characteristics. This region is planted mostly to the warm weather-loving Rhone and Bordeaux varietals.Winemaker/owner Bob Balentine buys from several growers who are responsive to his insistence on farming for flavor. The first vintage 2005 was made in a small farm building on his family’s ranch, a building his father had named “Line Shack” after similar shacks historically scattered across large California ranches to shelter ranch hands when working far a field. The wines are now made in Paso Robles with an eye toward quality and to keeping the price reasonable. Emerging appellations offer quality fruit at value pricing, (especially compared to expensive areas like Napa Valley). Another way Line Shack keeps their costs minimized is the use of environmentally-friendly reconditioned oak barrels, in which used inner oak is cut away, fresh oak is exposed, barrels reassembled and then flame toasted as if new, without having to cut down new trees. From both Santa Lucia Highlands and Arroyo Seco appellations, it offers an alluring style with flavors of fig, pineapple, kiwi and lime, integrated with toasty oak and a touch of honey in the finish. From both SLH and Arroyo Seco appellations, it is round yet crisp in style with aromas and flavors of ripe apple, kiwi, pineapple, light toasty oak and honey finish. 50% malolactic; 50% barrel. 300 cases. Flavors of apricot and white peaches with floral and citrus notes and a hint of honey. Dry with bright acidity. 80% Viognier with 20% Roussanne, stainless fermented and aged in 10% new oak. Sourced from a single vineyard in the furthest southern end of the Santa Lucia Highlands, it is elegant and fruit-driven in style with bright cherry, red fruits, rose petal and only a hint of oak. 500 cases. 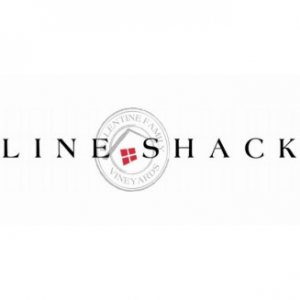 The Line Shack Syrah is big and rich with blueberry and black plum flavors, cherries and tobacco, dense color and flavor concentration supported by good structure. From yields under 3 tons / acre. 1000 cases. It is a juicy and concentrated yet smooth-drinking version of the varietal, packed with blackberries, spice, anise and black tea. The vine-ripened-tannins are much more polished than normally found yet plenty of dark purple/black fruit. Vineyards yielded under 3 tons per acre. Jammy and fruit forward in style with flavors of black cherry, currants & red licorice and aromas of mocha, leather, violets & vanilla. Medium tannins and a toasty lingering finish. 85% Cabernet Sauvignon and 15% Petite Sirah. The Flagship Wine of Line Shack, this Cabernet has more flavor than it should at this price point, due to low 2 tons per acre yields. It shows black cherry, ripe plum and rose petal aromas with fleshy and concentrated flavors of currants, black fruit and mocha on a structured backbone finishing full and long.